When conducing an executive interview, such as a Chief Operating Officer interview, it is important to have a set of quality questions prepared in advance to ask of your candidates. 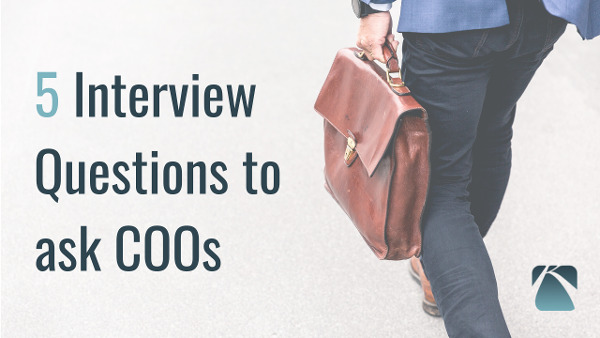 In this video, our CEO and Search Lead, Adam Kaplan details his 5 favorite interview questions to ask of COOs based on his experience in recruiting Chief Operating Officers. Our structured interview guide and template complete with 10 executive-level interview questions. This video on the 5 tips for conducting successful candidate interviews. Three traits to seek in a Chief Operating Officer.